As the Inn library which specialises in American legal research resources, this training session from Middle Temple Library draws on the strengths of our collection and the expertise of our staff. The sessions lasts between 60-90 minutes. 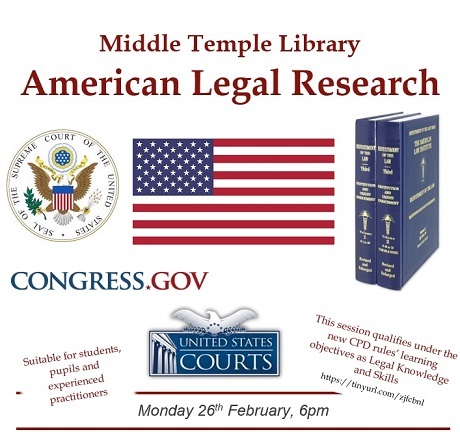 Delegates will find out how to locate American legislation and case law at both the federal and state levels and how to use legal research resources which are unique to the USA. Space is limited, so please contact the library to book your place (details below). Open to all Inns of Court members.